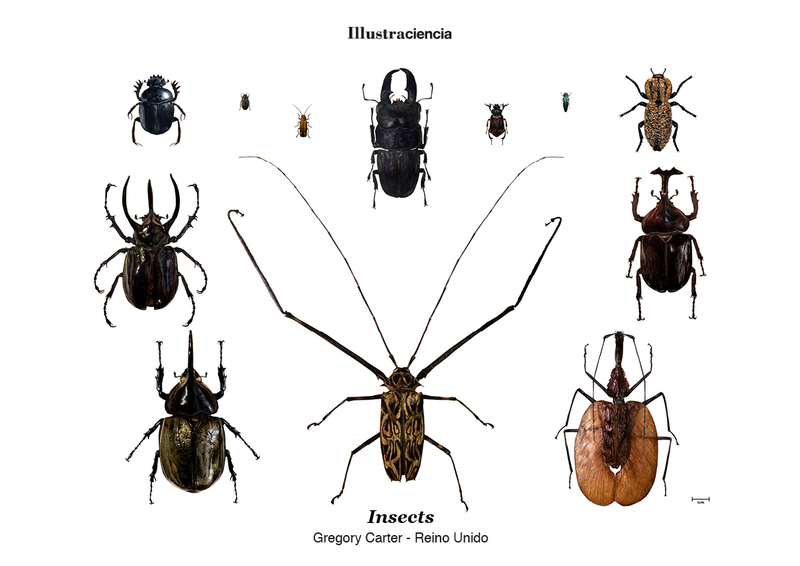 This is a series of twelve beetle illustrations. Each were drawn in graphite pencil and then scanned and coloured using Photoshop. I was able to look at each beetle at the University of Michigan Museum of Natural History while studying at the University last year. I used a microscope to see the finer details on each beetle. From top left: Scarabaeus sacer (Scarab Beetle), Dermestes maculatus (Hide Beetle), Cantharidae (Soldier Beetle), Serrognathus titanus (Stag Beetle), Nicrophorus (Burying Beetle), Agrilus Planipennis (Emerald Ash Borer), Zopherus (Maquech Beetle), Chalcosoma atlas (Atlas Beetle), Dynastinae (Hercules Beetle), Acrocinus longimanus (Harequin Beetle), Allomyrina dichotoma (Japanese Rhinoceros Beetle) and Mormolyce phyllodes (Violin Beetle). Graphite pencil drawing, scanned and coloured in Photoshop.